Did we say we were done with the Shake!-related posts? We totally lied. Actually, we forgot that we also had this tape laying around the CCPS offices. What can we say? We were tempted to label this a CCPS Miscellany post since the Mants have defected to Victoria, but since this is a compilation of tracks from the three 7" singles they recorded when they were in Calgary, we'll consider this a proper Calgary release. 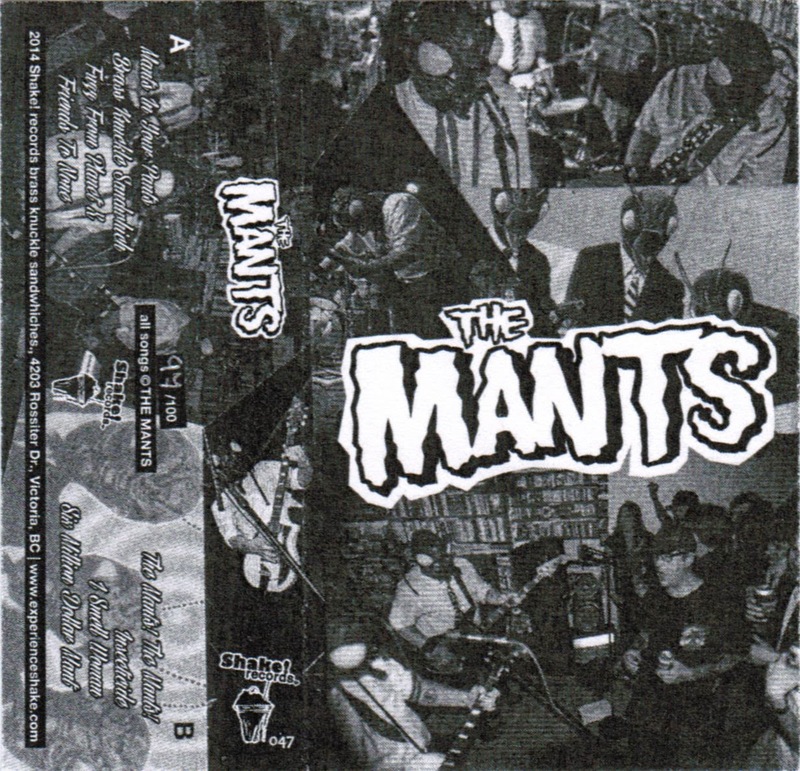 Word on the street is that there's a new Mants 7" on the way. Until then, you can either track down their original singles or get this tape from Shake. No DL link for this one? No download for this one... Buy the tape from Shake! Uh, unless it's sold out.